As we discussed, there are different types of wealth. We will discuss here the plans to help achieve that certain wealth. I was told in school that goals without a plan is just a dream. Here’s my plan to build financial wealth and achieve my goal of generational security. What are your plans for securing generational wealth? Do you have any ideas on what you would like to pass on to your offspring? More than just money I would like to leave some sort of family business that can be passed from generation to generation. This only works with a great foundation. Using the idea of a garden I will do my best to explain how i see building a legacy for the next to arrive. I have a love for customer service, and supplying the needs to a group of people so I have an idea to become a product distributor for the local hairstylist in my area. Only problem is with the growing cost of living expenses it’s hard to gain capital to fund such a project. Wouldn’t it be wise to use my earned income to grow my business. I’ll need to make some budget cuts and pick up another avenue of income. After calculating my expenses I pledge to put away each payment on a weekly basis. For example let’s say my monthly expenses come to $1000. Pay your expenses off on a wkly/biwkly basis. This will ensure I am staying afloat and sustaining my bare minimum. Eating out and leisurely activities will have to cease to exist for at least 90 days. This will free up monies to begin investing in myself and put my plans into action. This formula is a simple one but can become as hard as aerodynamics if you don’t use discipline. Here is my thoughts on the way to building wealth. 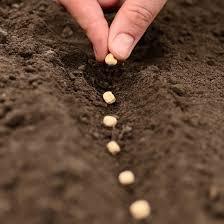 To grow anything, first a seed must be planted. 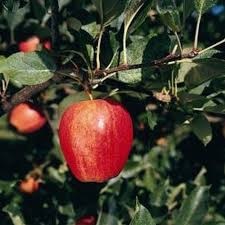 To get apples I would need to plant an apple seed, so to grow financial wealth I’ll need to plant a financial seed. My cutbacks have allowed me to gain some seed money. I invested in myself and did some research Learned the truth about wealthy affiliate. Here is where I became a premium member and learn from the best training material I have ever encountered. Becoming an online entrepreneur has never been made so easy that ALL can succeed. Now it doesn’t stop with just planting a seed of self investment. ACTION brings results, and consistency is key. Nothing is given, all is earned. I feel the need to express from an unknown author, “what comes easy won’t last, and what last won’t come easy!” Patience is key to withstanding the time it takes to grow. To plant a garden today just to expect harvest tonight is unreasonable. It takes time to produce fruitful fields. Taking it step by step I am learning what products do my area of stylist crave? What is in demand? What is up and coming? This research will consist of consumer Intel, trade show knowledge, and networking. Trade shows will introduce the products that are on the rise and what stylist crave, while consumer Intel will unveil maintenance habits. If I know what customers need and what they should be using at home these specific needs can be met. This is vital for ANY and ALL forms of life to thrive. Market affiliation is a great way for me to open my net to a wider range of customers. Learning how to build a website for the world to see is key to create a platform for product sales. Affiliation makes it easier to meet demands and not having to warehouse the supply cuts down on your overhead tremendously. I mean the goal is to make money not give it away to rent, lights, heat, and payroll. Joining wealthy affiliate is my tool to tend to my field of wealth in its beginning stages. I’m learning to build and maintain a website reach a much bigger market than my surrounding area. having found this valuable tool to grow a brand I am on to give my field attention and steady tilling. 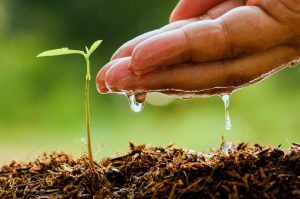 The most important part of growth is getting rid of wasteful material that denies the fruitful material nutrients for growth. This can be a challenge if you aren’t able to identify what is wasteful. Negativity & fear plays a big role in lack of development. Negative thoughts/people should never be entertained as they will try every thing to get you to doubt your progress. Fear is another animal itself. Fear plays the what if games. What if I fail? If you fail try again! What if it takes too long? If it takes long then it will be worth that much more. What if it’s too hard? If it’s hard work just flip it and work hard! There will come times where quitting will seem the way to go. This is where writing your goals down come into play. Hold yourself accountable by reading your goals to give you motivation to stick to it. The way to building wealth is to be on a quest for knowledge. I believe the only way to truly prosper is to maintain humility in the process. Do your best to help others along the way to make a better place for all to thrive. I have made a schedule to work on my platform and work it consistently. When the negative, doubting thoughts arise I am reminded of my goal and what it takes to get there. It also helps that my wife will tend to remind me of my goals and won’t let me slack. Using my surroundings as a support network will ensure my focus stays on wealth building. That of course is in a perfect world where there is support from a loved one, we are sticking to goals, and making the best of our training, However This won’t be a walk in the park. There will be days that the weeds are growing just as fast as you can pull them. 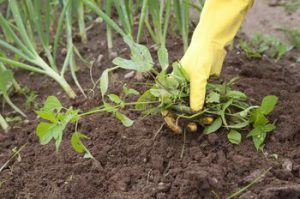 There will be pest that will dig up your crop before it’s ready. Even a bird will come by and eat your seed before they can even take root. During these times you will learn more than ever if you just push through the annoyance. staying true to this formula will lead to a harvest well deserving. If you stay the course with consistency, learn as much as you can on Internet marketing, and get rid of wasteful thoughts it should be no time before seeing results. If you focus on the do’s the do nots you won’t have time for. Building wealth goes far beyond having a lot of money. A wealthy individual will have purpose in life beyond finances, while a rich individual just has a lot of money. 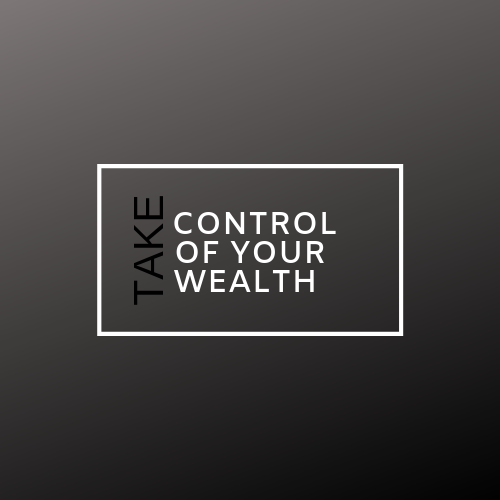 Figure out what’s driving you and how you will achieve your form of wealth? This i feel the need to say often for clarity on how important it is to remember if you aren’t helping others, what good is your wealth? I would love to hear your thoughts as it may inspire me leave a comment below to share your plan. I do love the analogies you used here. They make it so easy to understand and apply in real life. As to your point of what last won’t come easy, it is unfortunate that the generation of today wants things fast. Most young people today are not seeing the long term future. I am so glad you enjoyed the info. I call it the drive thru/ microwave syndrome. Everything needs to be right now! I myself have fell victim to this thinking. The good thing about thoughts are they can always be refocused! Thanks for taking time to comment! Yeah, plans are pipe dreams however if you attach goals to them and stick to the plan religiously the world’s your oyster. I too have monthly and weekly goals, I then break those down to daily goals and will not finish my day’s work until I have completed my daily tasks. Itâ€™s amazing how much productivity you can accomplish with this simple technique and drive your business forward. 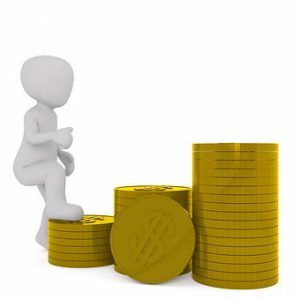 My reason for becoming an affiliate marketer are similar to yours, I had a passion but to acquire stock to hold and distribute was not affordable for my situation however affiliate marketing opens the door to accomplish the same steps without any of the associated costs of warehousing, postage and returns to deal with. You basically do the same thing through a website and attract visitors however the scope is vast as you are presentable to the world rather than a local area. How long have you been affiliate marketing? i’ve been affiliate marketing for about 4 weeks now, and it was the best decision made for my career. i find myself feeling a bit more accomplished when i complete tasks within the program. i feel that i am learning more now than i have with programs that cost 5 times as much. it breaks everything down into portions easy enough to swallow. thank you for the time spent! I really like the way you relate your subject to a seed, it really made sense. Starting small but dreaming big is key, as is being passionate and staying focused. If you put in the hard work and keep at it, rewards will come. And it’s all a whole lot easier if your work is your passion. I do agree that having no plan in place is simply a dream. There are plenty of day-dreamers in this world who do not set goals or take action. Their hopes of wealth are left down to winning the lotto lol. Planting that seed certainly lays the foundations of an online business, but obviously, it’s a case of taking care of that seed and helping it to grow so that it flourishes into something amazing! I agree so much with planting a seed. As I go through the process now of building wealth for myself, I know that success takes time. This is something I try to keep reminding myself of when motivation is down, but i’m really glad I read your article. As I know it will help me as I continue to work towards the things that mean most to me. Thanks! Thank you for leaving a message and giving your thoughts! I find that when my motivation is down I set a goal of doing at least 10 mins of work on any task. this usuallly works as i have at least gotten something done or it fuels me to do more. I wish you much succes on your journey buillding success. What comes easy won’t last and what last won’t come easy!